Anita Wardell belongs to the classic tradition of vocalese singing. British born, but part educated in Australia where she studied jazz and improvised music at the University of Adeleide, Anita Wardell has been influenced by the innovatory work of Eddie Jefferson (performing with Jefferson’s late career sidekick Richie Cole) and Mark Murphy and this grounding reveals itself in the ease with which the singer performs on ballads as well as be-bop excursions. The repertoire is varied and challenging and this makes for an entertaining and informative listen. The title track was originally a Pat Metheny instrumental original with lyrics added by Wardell and the number now takes on both a decidedly blues as well as gospel tinge. For fans of the great American songbook, ‘Surrey with the fringe on top’ will prove a revelatory experience and unquestionably an album highlight. Commencing at a rapid tempo, the piece then slows down to mid-tempo with a exquisite soulful delivery from the singer. Stevie Wonder’s ‘Superwoman’ was an intricate, yet undeniably beautiful song in its original format, but here Wardell tackles the number in two distinctive parts. For the first, she plays it laid back before shifting up a couple of gears and the contrast between the two is a joy to behold. It was a terrific idea to attempt the number in a jazz idiom and the result is a triumph. Elsewhere the uplifting update on eclectic multi-instrumentalist and genius Hermeto Pascoal is another example of Wardell taking on difficult pieces and turning them into something new, though here the Brazilian tradition is very much respected with a gentle and lyrical guitar solo by Guillermo Hill. A bossa favourite ‘Você e eu’ (‘You and I’) receives a lilting rendition with rhythm guitar and percussion playing their part. 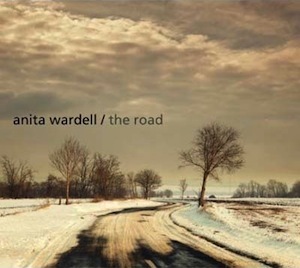 While Anita Wardell excels on uptempo numbers, she is equally adept on ballads and the sensitive treatment of ‘You’re my thrill’, especially in the delicate use of drums, works extremely well while the wordless vocals incorporated à la Bobby McFerrin or Al Jarreau are an indication is that here is a singer who really listens to others and is willing to take on board their techniques.